Merrywood Estate in McLean, Virginia has a storied history, serving as home to some of America’s most influential political and business figures. Built in 1919, the historic private estate was the childhood home of Jacqueline Kennedy Onassis in the mid-1940s. This rustic French style villa in Washington D.C. was inspired by the cottages of the French countryside. 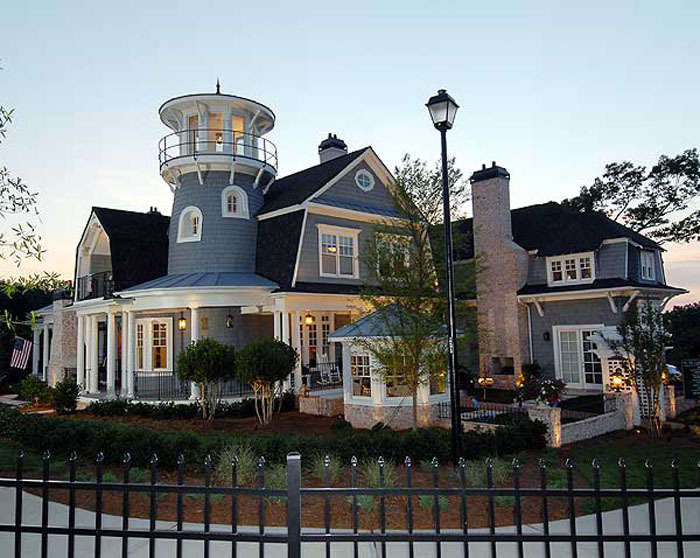 The new built cottage was designed by Barnes Vanze Architects. Filed Under: Country Homes, Residential Architecture, Traditional Homes Tagged With: Barnes Vanze Architects, Country House, Rustic Charm, Traditional Decor, Washington D.C. 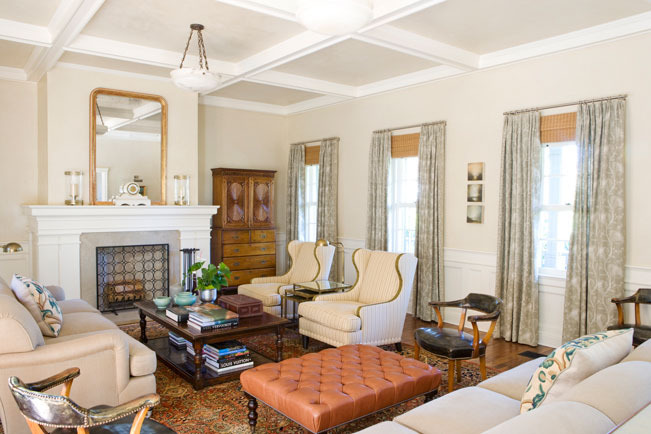 Interior designer Thomas Pheasant redesigned a Colonial Revival house in McLean, Virginia with soothing color schemes and a sense of refreshed classicism. 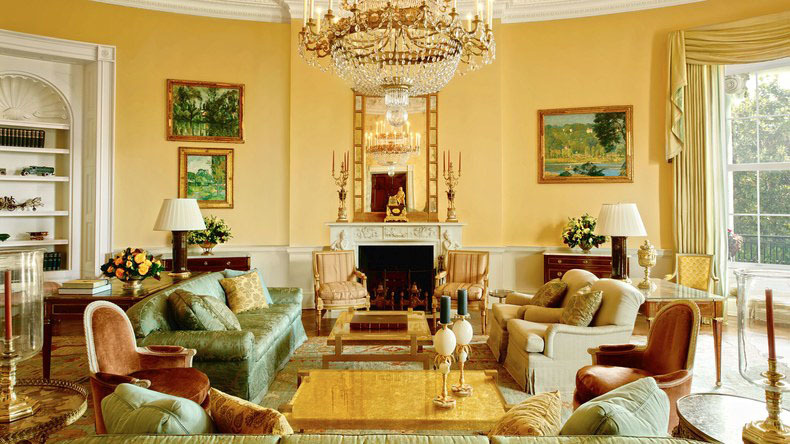 Architectural Digest was given a tour of the relaxed private family quarters at the White House of the Obamas. Filed Under: Traditional Homes Tagged With: Barack Obama, Celebrity Homes, Michael S. Smith, Michelle Obama, The White House, Traditional Decor, Washington D.C. 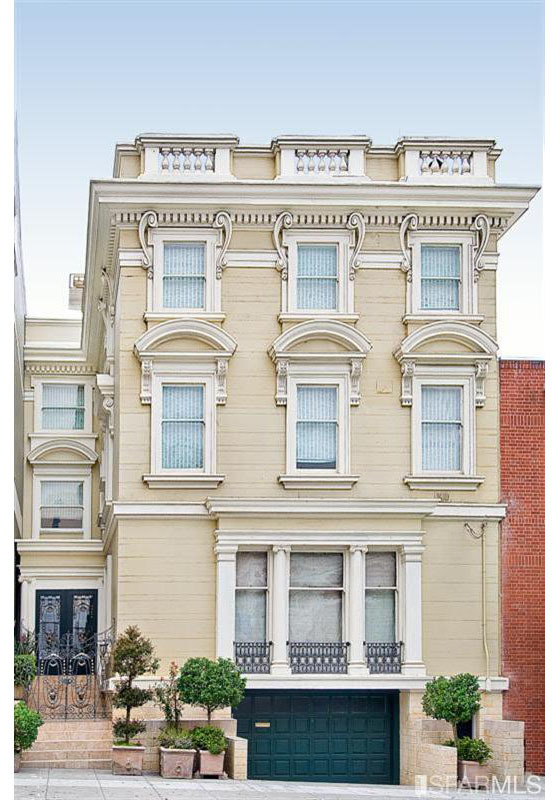 This historically significant Neo-Classical home located in Pacific Heights, San Francisco was built in 1906 and designed by renowned architect Julius E. Krafft. The 8,335 sq. ft. home features a stunning entrance portico, grand wooden staircase, formal living room, formal dining room, parlor, gourmet kitchen with breakfast area, indoor solarium, 6 bedrooms and 7.5 bathrooms. Interior designer Tim Clarke is well known for creating unique spaces inspired by modern classicism. The timeless and sophisticated interiors celebrates modern elegance.